59 Five Star reviews on Zillow and counting! #1 RE/MAX Team in Baldwin County 2016. #1 RE/MAX Team in Alabama 2017. Licensed in AL & FL! Proud member of The Bob Shallow Team at RE/MAX Paradise. Certified Local Since 1999. Put me to work for you, and I will show you why I am one of the best in the business. As a local expert, I am here to help out my clients near and far. Are you looking at properties in our market from your home in another state or area? I love filming walkthroughs of properties for my clients who are out of town. Twice featured on HGTV's Island Life. "After attempting to sell our Gulf Shores beach condo by owner, we listed with Peyton Yarborough. Within a few days of listing, we had competing offers and sold our unit for full asking price. Peyton had great attention to detail and made sure that our interests were protected. He worked well with the buyer's agent and kept us informed and educated throughout the process. 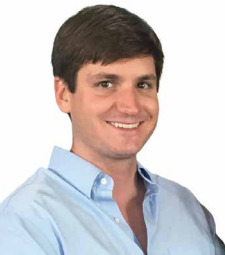 I highly recommend Peyton if you are selling or buying a condo in the Gulf Shores, Orange Beach or West Florida area."